Azure IoT Hub device streams is a new PaaS service that addresses the need for security and organization policy compliance by providing a foundation for secure end-to-end connectivity to IoT devices. At its core, an IoT Hub device stream is a data transfer tunnel that provides connectivity between two TCP/IP-enabled endpoints: one side of the tunnel is an IoT device and the other side is a customer endpoint that intends to communicate with the device. IoT Hub device streams address end-to-end connectivity needs by leveraging an IoT Hub cloud endpoint that acts as a proxy for application traffic exchanged between the device and service. IoT Hub device streams are particularly helpful when devices are placed behind a firewall or inside a private network. Azure API Management has just introduced preview support of OpenAPI Specification v3 – the latest version of the broadly used open-source standard of describing APIs. We based the implementation of this feature on the OpenAPI.NET SDK. OpenAPI Specification is a widely-adopted industry standard that enables you to abstract your APIs from their implementation in a language-agnostic and easy to understand format. The wide adoption of OpenAPI Specification (formerly known as Swagger) resulted in an extensive tooling ecosystem. If your APIs are defined in an OpenAPI Specification file, you can easily import them in Azure API Management (APIM). APIM helps organizations publish APIs to external, partner, and internal developers to unlock the potential of their data and services. Once the backend API is imported into APIM, the APIM API becomes a façade for the backend API. 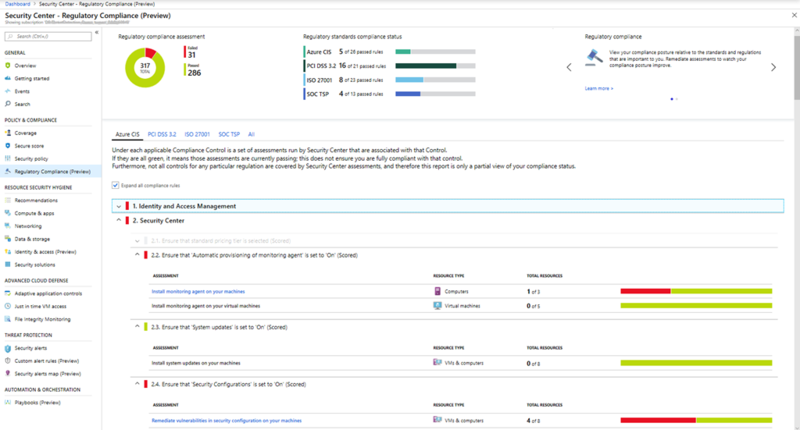 The regulatory compliance dashboard in Azure Security Center (ASC) provides insight into your compliance posture for a set of supported standards and regulations, based on continuous assessments of your Azure environment. The ASC regulatory compliance dashboard is designed to help you improve your compliance posture by resolving recommendations directly within the dashboard. Click through to each recommendation to discover its details, including the resources for which the recommendation should be implemented. The regulatory compliance dashboard preview is available within the standard pricing tier of Azure Security Center, and you can try it for free for the first 30 days. You can now replicate data from a single Azure Database for PostgreSQL server (master) to up to five read-only servers (read replicas) within the same Azure region. This feature uses PostgreSQL's native asynchronous replication. With read replicas, you can scale out your read-intensive workloads. Read replicas can also be used for BI and reporting scenarios. You can choose to stop replication to a replica, in which case it becomes a normal read/write server. Replicas are new servers that can be managed in similar ways as normal standalone Azure Database for PostgreSQL servers. For each read replica, you are billed for the provisioned compute in vCores and provisioned storage in GB/month. The Azure HDInsight Tools for Visual Studio Code are now generally available on Windows, Linux and Mac. These tools provide best-in-class authoring experiences for Apache Hive batch jobs, interactive Hive queries, and PySpark jobs. The tools feature a cross-platform, lightweight, keyboard-focused code editor which removes constraints and dependencies on a platform. Azure HDInsight Tools for Visual Studio Code is available for download from Visual Studio Marketplace. Availability Zones is a high availability offering that protects applications and data from datacenter failures. Availability Zones support is now generally available for Azure Service Bus premium and Azure Event Hubs standard in every Azure region that has zone redundant datacenters. Note that this feature won’t work with existing namespaces—you will need to provision new namespaces to use this feature. Availability Zones support for Azure Service Bus Premium and Azure Event Hubs Standard is available in the following regions: East US 2, West US 2, West Europe, North Europe, France Central, and Southeast Asia. Over the past six months, we added added 31 certifications across services in Cognitive Services and will continue to add more in 2019. With these certifications, hundreds of healthcare, manufacturing, and financial use cases are now supported. In addition, Cognitive Services now offers more assurances for where customer data is stored at rest. These assurances have been enabled by graduating several Cognitive Services to Microsoft Azure Core Services. Also, the global footprint for Cognitive Services has expanded over the past several months — going from 15 to 25 Azure data center regions. Recently, we launched a new bundle of multiple services, enabling the use of a single API key for most of our generally available services: Computer Vision, Content Moderator, Face, Text Analytics, Language Understanding, and Translator Text. On Thursday, Microsoft announced the acquisition of Citus Data, an innovative open source extension to scale out PostgreSQL databases without the need to re-architect existing applications. Citus Data delivers unparalleled performance and scalability by intelligently distributing data and queries across multiple nodes, which makes sharding simple. Because Citus Data is packaged as an extension (not a fork) to PostgreSQL, customers can take advantage of all the innovations in community PostgreSQL with queries that are significantly faster compared to proprietary implementations of PostgreSQL. More information is available in this post by Rohan Kumar, Corporate Vice President, Azure Data: Microsoft acquires Citus Data, re-affirming its commitment to Open Source and accelerating Azure PostgreSQL performance and scale. You can now export data in near real-time to your Azure Event Hubs and Azure Service Bus in near real-time from your Azure IoT Central app. Use the new features in Continuous Data Export to export data to your own Azure Event Hubs, Azure Service Bus, and Azure Blob Storage instances for custom warm path and cold path processing, and analytics on your IoT data. Watch this episode of the Internet of Things Show to learn how to export device data to your Azure Blob storage, Azure Event Hub, and Azure Service Bus using continuous data export in IoT Central. You’ll also learn how to set up continuous export to export measurements, devices, and device template data to your destination and how to use this data. Microsoft Azure HDInsight Metastore Migration Tool (HMMT) is an open-source shell script that you can use for applying bulk edits to the Hive metastore. HMMT is a low-latency, no-installation solution for challenges related to data migrations in Azure HDInsight. This blog post covers how HMMT is outlined with respect to the Hive metastore and Hive storage patterns, the design of HMMT and describes initial setup steps, and finally, some sample migrations are described and solved with HMMT as a demonstration of its usage and value. Azure Backup now supports preserving and restoring new technology file system (NTFS) access control lists (ACL) for Azure files in preview. You can now script your backups for Azure File Shares using PowerShell. Make use of the PowerShell commands to configure backups, take on-demand backups, or even restore files from your file shares protected by Azure Backup. Using the “Manage backups” capability in the Azure Files portal, you can take on-demand backups, restore files shares, or individual files and folders, and even change the policy used for scheduling backups. You can also go to the Recovery Services Vault that backs up the file share and edit policies used to backup Azure File shares. Backup alerts for the backup and restored jobs of Azure File shares are enabled, which enables you to configure notifications of job failures to chosen email addresses. Jupyter Notebook enable you to create and share documents that contain live code, equations, visualizations, and explanatory text. Its includes data cleaning and transformation, numerical simulation, statistical modeling, and machine learning. KQL magic commands extend the functionality of the Python kernel in Jupyter Notebook. KQL magic enable you to write KQL queries natively and query data from Microsoft Azure Data Explorer. You can easily interchange between Python and KQL, and visualize data using rich Plot.ly library integrated with KQL render commands. KQL magic supports Azure Data Explorer, Application Insights, and Log Analytics as data sources to run queries against. KQL magic also works with Azure Notebooks, Jupyter Lab, and the Visual Studio Code Jupyter extension. Hyperledger Fabric is an enterprise-grade distributed ledger that provides modular components, enabling customization of components to fit various scenarios. You can now download from the Azure Marketplace an updated template for Hyperledger Fabric that supports Hyperledger Fabric version 1.3. The automation provided by this solution is designed to make it easier to deploy, configure and govern a multi-member consortium using the Hyperledger Fabric software stack. This episode of Block Talk walks through the Hyperledger Fabric ledger and discusses the core features you can use to customize the deployment of Hyperledger Fabric in your environment. M-series virtual machines (VMs) are now available in Australia Central region. In this post, Peter Provost, Principal PM Manager, Azure IoT, shows how simple it is to connect a temperature/humidity sensor to Azure IoT Central using a Raspberry Pi and Node-RED. Node-RED is a flow-based, drag and drop programming tool designed for IoT. It enables the creation of robust automation flows in a web browser, simplifying IoT project development. Azure Blueprints (currently in Preview) helps you define which policies - including policy initiatives - RBAC settings, and ARM templates to apply on a subscription basis, making it easy to set configurations at scale, knowing that any resources created in those subscriptions will comply with those settings (or will show as non-compliant in the case of audit policies). Sonia provides an intro to the service, showing how they group configuration controls, like Azure Policy and RBAC, and then uses an example scenario to demonstrate how and why to use Blueprints to simplify compliance and governance. RStudio Server Pro, the premier IDE for the R programming language is now available on the Azure Marketplace, letting you launch it on a virtual machine of your choice. David details the benefits of this new offering and also lists alternative solutions for developers interested in running a self-managed instance of RStudio Server. To celebrate the recent announcement of free private repos in GitHub, Ari released a sneak peak of what he's working on for Part II of his "Making Petabyte Scale Data Actionable with Azure Data Explorer" series. Gain an understanding of the landscape of sample projects available for Cognitive Services. What does a giant Jenga tower have in common with NoSQL databases? NOTHING. But we're giving you both anyway. In this episode, Burke and Jasmine Greenaway bring you five reasons that you should check out Cosmos DB today. They also play a dangerous game of Jenga with an oversized tower made out of 2x4's, and someone nearly gets crushed. 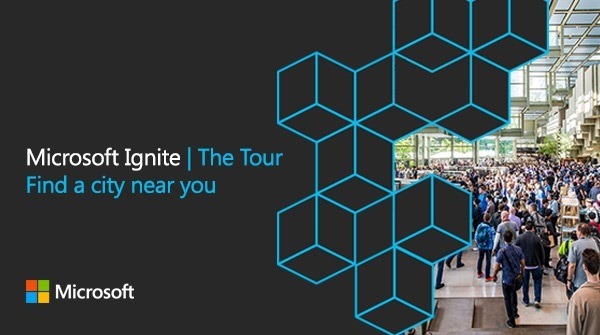 While at Microsoft Ignite | The Tour in Berlin, Damian speaks to Microsoft MVP Houssem Dellai about some options for deploying your database alongside your application. Houssem shows a few different ways to deploy database changes, including a clever pre-production verification process for ensuring your production deployment will succeed. Database upgrades are often the scariest part of your deployment process, so having a robust check before getting to production is very important. 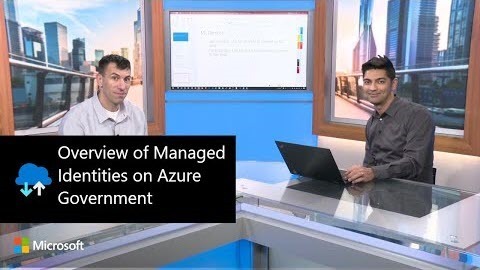 In this episode of the Azure Government video series, Steve Michelotti talks with Mohit Dewan, of the Azure Government Engineering team, about Managed Identities on Azure Government. Whether you’re storing certificates, connection strings, keys, or any other secrets, Managed Identities is a valuable tool to have in your toolbox. Watch this video to see how quick and easy it is to get up and running with Managed Identities in Azure Government. 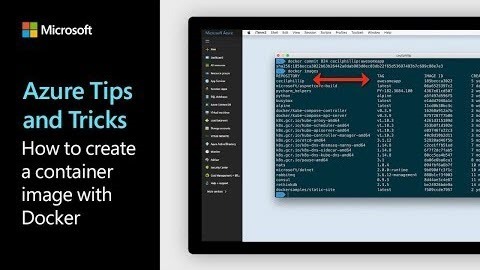 In this edition of Azure Tips and Tricks, learn how to create a container image to run applications with Docker. You’ll see how to create a folder inside a container and create a script to execute it. 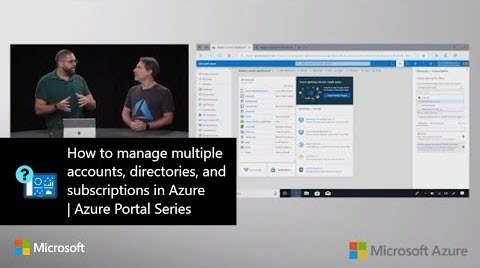 Discover how to easily manage multiple accounts, directories, and subscriptions in the Microsoft Azure portal. In this video, you'll learn how to log in to the portal and manage multiple accounts, establish the contexts between accounts and directories, and how to filter and scope the portal at a few different levels to their billable subscriptions. In this episode, Paul Hacker is joining the Azure DevOps Podcast to discuss DevOps processes and migrations. Paul has some really interesting perspectives on today’s topic and provides some valuable insights on patterns that are emerging in the space, steps to migrating to Azure DevOps, and common challenges (and how to overcome them). Listen to his insight on migrations, DevOps processes, and more. For a healthcare organization, security and protection of data is a primary value, but solutions can be attacked from a variety of vectors such as malware, ransomware, and other exploits. The attack surface of an organization could be complex, email and web browsers are immediate targets of sophisticated hackers. 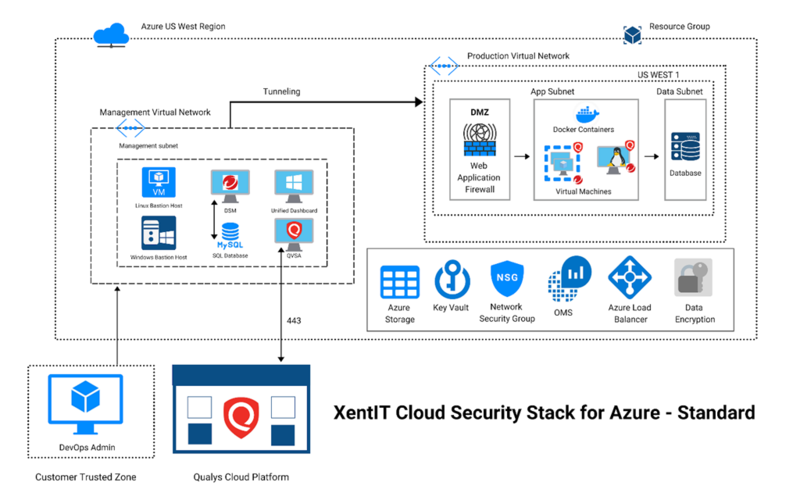 One Microsoft Azure partner, XentiT (ex-ent-it), is devoted to protecting healthcare organizations despite the complexity of the attack surface. XentIT leverages two other security services with deep capabilities and adds its own expertise to create a dashboard-driven security solution that lets healthcare organizations better monitor and protect all assets. Microsoft’s AI & IoT Insider Labs was created to help all types of organizations accelerate their digital transformation. Learn how AI & IoT Insider Labs is helping one partner, SunCulture, leverage new technology to provide solar-powered water pumping and irrigation systems for smallholder farmers in Kenya. SunCulture, a 2017 Airband Grant Fund winner, believed sustainable technology could make irrigation affordable enough that even the poorest farmers could use it without further aggravating water shortages. The company set out to build an IoT platform to support a pay-as-you-grow payment model that would make solar-powered precision irrigation financially accessible for smallholders across Kenya. 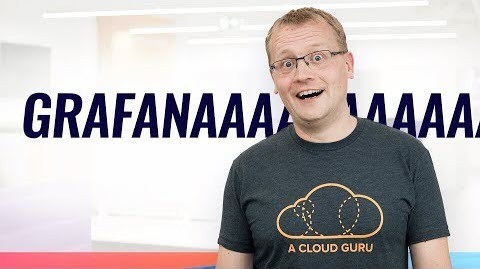 This time on Azure This Week, Lars talks about Azure Monitor logs for Grafana in public preview, New Azure Portal landing page, and it is time to move on from Windows Server 2008.